There really is no love greater than the one between US President Donald Trump and his wall. The man is obsessed! It turns out though Trump used to feel very differently about walls and has previously offered advice on how to get to the other side of one. Advice I am sure he wouldn’t be offering out now to the undocumented immigrants his beloved border wall is attempting to keep out. Footage from 2004 was dug up by The Daily Show earlier today (January 10) and shared on Twitter much to the delight of the hundreds of thousands of people who have retweeted and liked it. During a speech made at Wagner College on New York’s Staten Island while receiving his honorary doctorate, Trump passionately spoke about how when you reach ‘a concrete wall’ you should do everything you can to reach the other side. Of course Trump was referring to metaphorical walls but we love the irony of his reference! Don’t give up. Don’t allow it to happen. If there’s a concrete wall in front of you, go through it, go over it, go around it, but get to the other side of that wall. 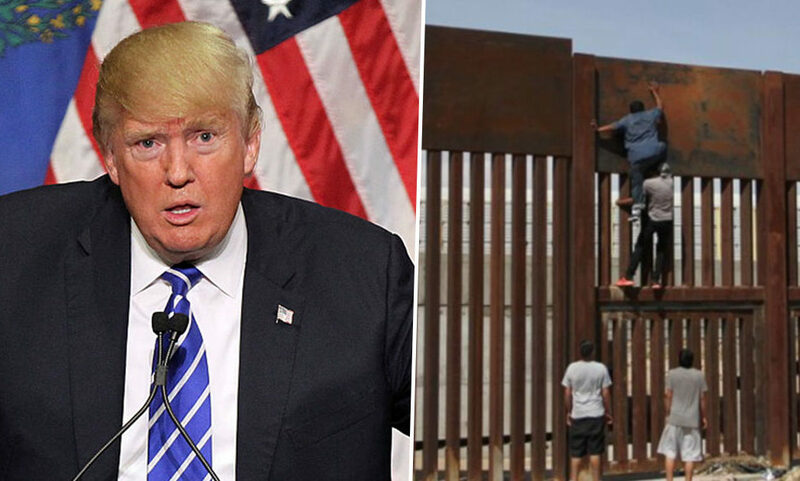 Maybe the speech is the reason Trump has decided to build his wall out of ‘steel slats’ rather than ‘concrete’, a decision he announced at the end of last year. 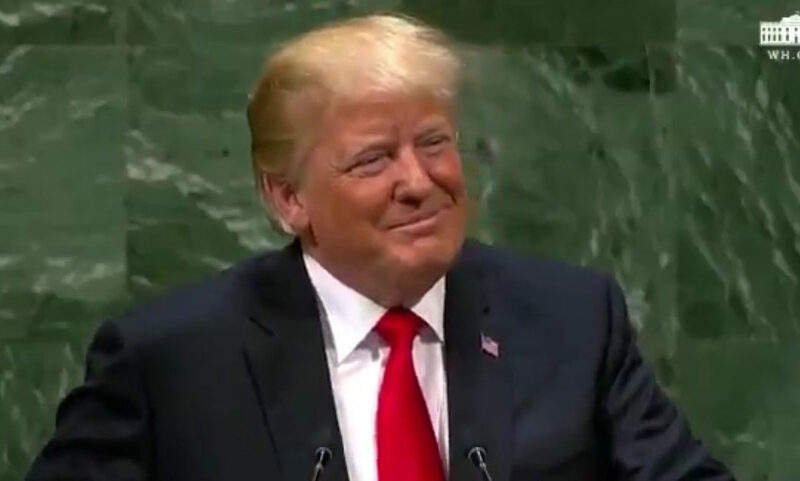 It is possible he didn’t want to be haunted by the speech but unfortunately for him, happily for us of course, the footage has resurfaced anyways. The Democrats, are saying loud and clear that they do not want to build a Concrete Wall – but we are not building a Concrete Wall, we are building artistically designed steel slats, so that you can easily see through it. It will be beautiful and, at the same time, give our Country the security that our citizens deserve. It will go up fast and save us BILLIONS of dollars a month once completed! Waving the flag for walls, Trump even urged Spain last year to build one across the Sahara in order to tackle the Mediterranean migration crisis. As reported by The Guardian, at an event in Madrid Spain’s foreign minister, Josep Borrell, said Trump made the suggestion during King Felipe and Queen Letizia’s visit to the White House in June 2018. Although one of Trump’s campaign promises was to build a wall stretching across the US/Mexico border, which is around 2,000 miles long, this is still yet to be fully realised more than a year and a half after he entered office.